To help you decide whether to carry on the tradition in your home, we’ve interviewed three alumni. Here, we take a look at Jocelyn Bell-McTaggart’s experiences at Walt Whitman as a camper and now the parent of a son in Middle Camp. The CWW alum knows first-hand how your family’s legacy can determine which camp you go to. Her own mother, aunt and uncle attended Camp Walt Whitman, but when it came time for Jocelyn to select a camp, her mother wasn’t sure if CWW still existed. (These were the pre-Internet days!) Then she attended a camp fair with her mother, and Bill Dorfman recognized her and called out her name. Summer camp wasn’t exactly as she’d remembered it. “Camp was much, much, much smaller when I first started and so you really knew almost everybody. And as I continued, camp continued to grow. In the photo above, Camp Walt Whitman alum Jocelyn Bell-McTaggart is beside her mother, also a CWW alum, at visiting day circa 1984. Here Jocelyn is pictured with her son before he heads to CWW for the summer. 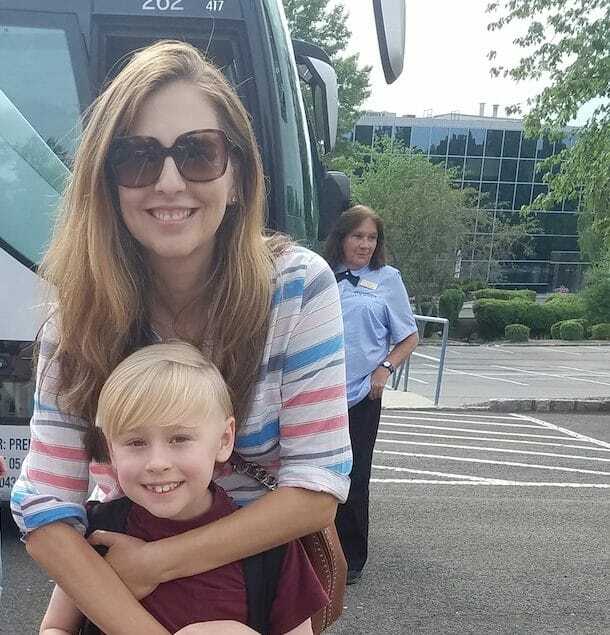 And like Alexandra Smith Ozerkis expressed, it is beautiful to see your child connect with the camp you felt so connected to as a kid. “It’s definitely been a huge bonding experience…He loves to ask me if I did certain hikes or certain trips…He gets a kick out of the fact that I was there and there’s a shorthand, he doesn’t have to explain a lot of things to me.” The idea of sharing an experience her mother and relatives had was part of the reason she chose CWW in the 80s, and being able to do the same with her son is just as precious.